It’s a country located in Southern and Southeast Europe. Greeks like to gift flowers for Christmas, Easter, Birthdays and name days. While sending flowers to Greece don’t forget to select Wild Orchid, Crocus, Cliff Rose, Bougainvillea & Hyacinth as these are some of their native flowers. Gifts are usually nicely wrapped and opened right away. 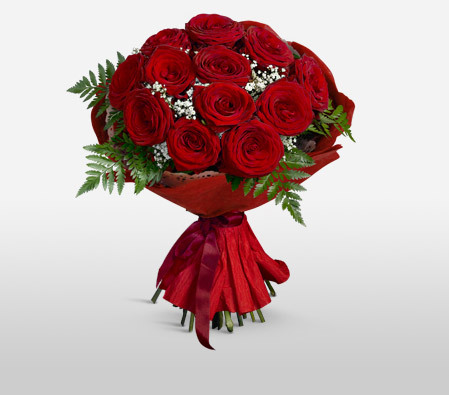 Send flowers same day to Greece using our local florists & flower shops. Order by 12 noon. Send Easter Flower Arrangement, Easter Hampers & Gift Baskets to Greece. Send Roses, Carnations, Lilies throughout Greece for occasions like Birthdays, Anniversaries, Funerals, etc. Enjoy affordable flower delivery across Athens, Thessaloniki, Kalamata, Ahaia & nationwide delivery. Luxurious and alluring, this extravagant collection of fresh ruby red roses will drive them wild. Approximately 14 inches W x 16 inches H.
How do i send International Flower Delivery to Greece? 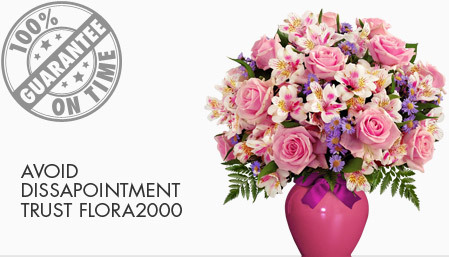 Flora2000 has transformed International flower delivery to Greece into a fine and effortless art. With our efficient flowers & gifs delivery services worldwide; you are sure to find the perfect expression of your message to your loved ones. Be it Roses, Lilies, Carnations or Cakes, our gifts are sure to make both the sender and the receiver happy. We make sure the gifts you give reflects what you feel about the receiver. Greece is a Mediterranean country located in Southern and Southeast Europe. It is famous for it's ancient culture. Greeks like to exchange gifts for Christmas, Easter, birthdays, and name days. They prefer giving small gifts. Wild Orchid, Crocus, Cliff Rose, Bougainvillea & Hyacinth are some of the native flowers. Gifts are usually nicely wrapped and opened right away. We have an exclusive collection of flower arrangements, hampers & baskets for this Easter. Our classy collection of flowers & Gifts for Easter to Greece.